We can all relate to feeling worn down and exhausted to the point that even endless cups of coffee can't cure. When your energy is drained, every facet of your life takes a hit, and the feelings of depletion can contribute to an unending cycle. 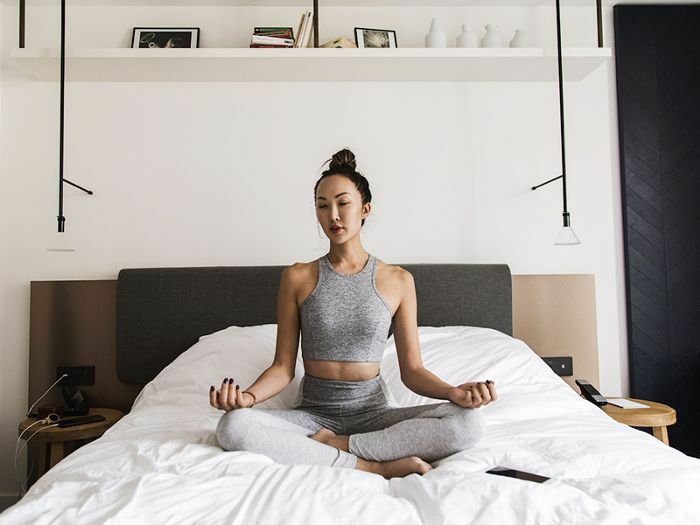 Since eight hours of sleep aren't always easy to come by, we reached out to leading holistic wellness expert and neuroscientist Leigh Winters of Wise + Well to weigh in on the phenomenon and provide her suggested home remedies for energy. "Stress, poor nutrition or hydration, and potential hormonal or body imbalances that go undiagnosed, like adrenal fatigue can all contribute to energy drain," explains Winters. "Some recent research even suggests that cluttered work and home spaces zap energy and focus." To combat this energy depletion, Winters proposes three holistic approaches to boosting energy at home. "Why reach for a 5-Hour Energy or Red Bull when you can engage in a practice or routine that has the same energy-boosting effect without the sugar crash and negative long-term health effects?" she asks. "Holistic strategies to boost energy have been around for thousands of years, and many, like acupressure, come with added benefits, such as increased circulation and reduced tension and pain." Better yet, you can engage in these practices wherever you are. "You can often do them at any time—in the car, at your work desk—entirely by yourself," says Winters. "Plus, do them as often as you'd like. There is no toxic load accumulated from these mind-body practices." Keeps scrolling for Winters's four home remedies for energy that are the next best thing to eight hours of sleep. "As a clinical certified aromatherapist, showing people the power of essential oils is why I love what I do," admits Winters. "Essential oils like cajeput, rosemary, sage, and peppermint are all known for boosting energy." Winters says she keeps an aromatic inhaler in her purse and at her work desk at all times. "Need to crack the mental whip at work?" she asks. "Try my go-to aromatic inhaler blend" that will "put some pep in your step." To create the uplifting blend, Winters says to "add four drops cajeput essential oil, two drops rosemary essential oil, and three drops peppermint essential oil onto a cotton wick and secure in an aromatic inhaler. Use as desired when needing an energy boost." 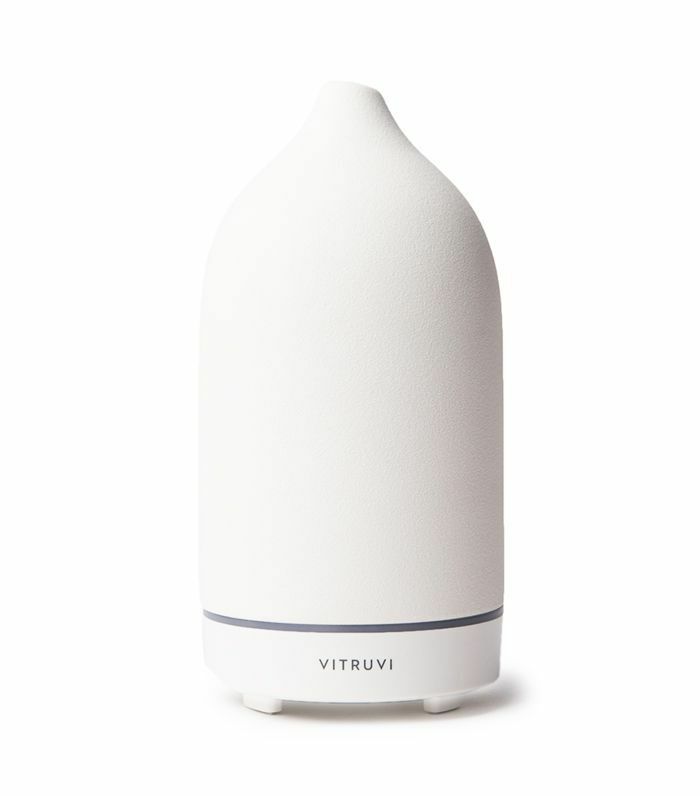 "If you're looking for a more subdued pick-me-up, try diffusing essential oils," suggests Winters. "Any citrus blend makes me feel really energized. Add seven drops grapefruit essential oil, five drops red mandarin, and four drops lemon into an aromatic diffuser in the morning and you'll feel more than ready to tackle your day. These citrus essential oils are proven antidepressants—calming yet uplifting." Winters suggests trying breathing exercises. "In the Kundalini yoga tradition, the right nostril is associated with the energetic sun, as well as concentration and vigor," she explains. "In a comfortable position, simply close your left nostril with your finger and deeply inhale for two minutes." As a meditation instructor, Winters encourages all her students to try to do a brief mindfulness meditation each day. "It's been clinically demonstrated that mindfulness meditation can significantly improve brain function and energy levels," she notes. "Find a comfortable position that works for you, and begin observing your thoughts. There is no right or wrong in meditation—just let yourself be, and notice what's going on in your body and in your mind. Try to do this for 10 minutes or more if you can." "When I was a younger, my mom taught me about acupressure and it's become a daily practice for me," says Winters. "Before tests when I was in elementary and middle school, I would rub the fleshy joint between my thumb and index finger for increased energy. Formally referred to as LI-4, or Valley of Harmony, just massaging this point instantly revitalizes you." Another one of Winters's favorite energizing points is called Zusanli, or ST 36. 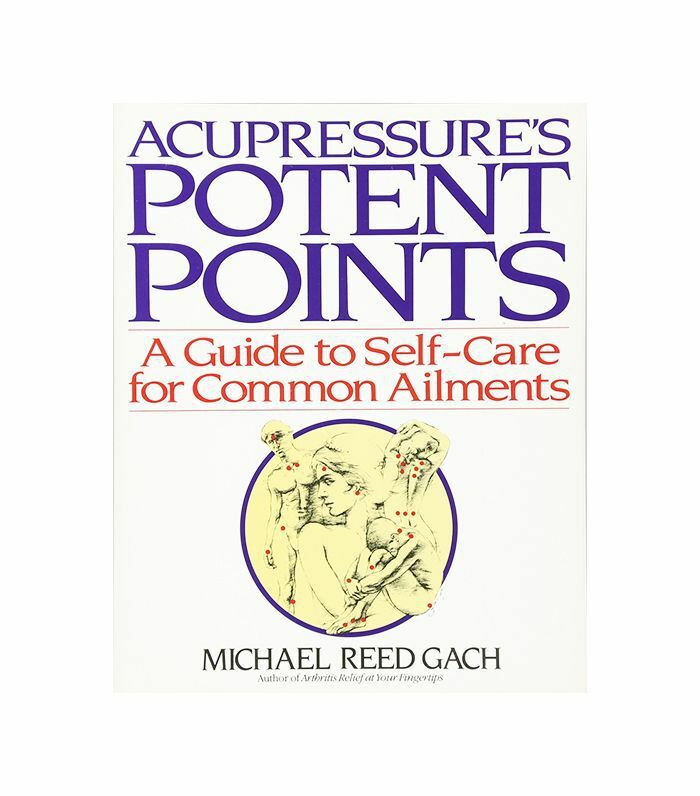 "Perhaps one of the most studied and used acupressure points, I reach for it when I'm feeling super energy-depleted," she explains. "The point is on the outer shin—located about four finger widths from the bottom of your kneecap along the outer shin bone. Press downward on the muscle for a few seconds, and release. Repeat as desired. 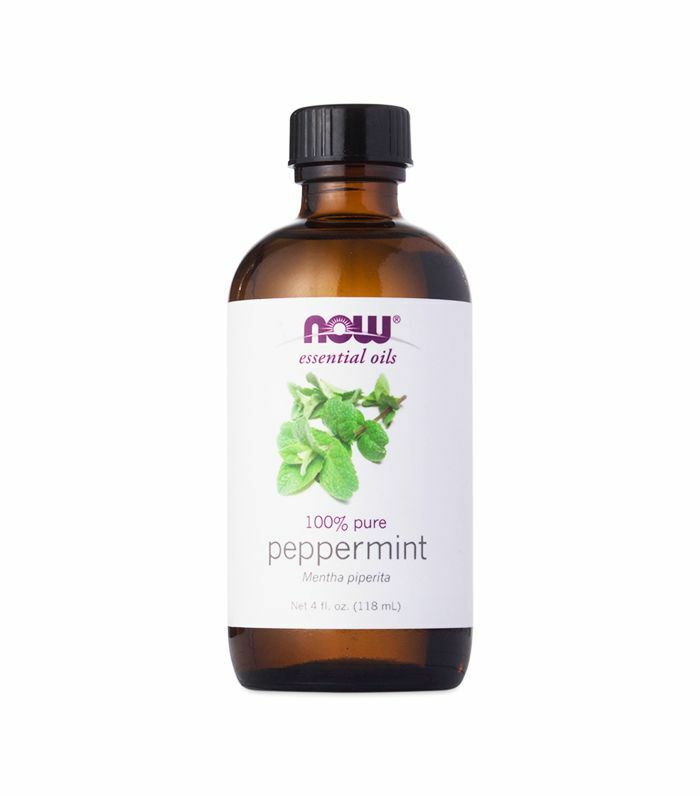 I often apply some peppermint essential oil to my hands before stimulating Zusanli for an extra-energizing effect." The everyday choices you make greatly impact your energy levels. "I tell everyone to unplug at night," says Winters, who suggests trying your hand at a digital detox. "In fact, my bedroom is a technology-free zone—minus the old-school alarm clock. While this habit took me about a week to form, I've found it incredibly refreshing and noticed a huge difference in my morning routine and sleep. And if you're not sold by my personal anecdote, there's really compelling research that shows how using light-emitting technology before bedtime disrupts sleep cycles." Winters says that simple swap outs in diet can also make a huge difference. "Start small," she advises. "Perhaps you try cutting out processed foods or refined sugar. Notice how your body reacts. I bet you feel more lively subsisting on more whole foods." Finally, Winters notes that it may go without saying, but try to get your blood pumping every day. "Even better if you do it outside. Some interesting research shows that even something as simple as a long walk outside can reduce anxiety and boost energy. " Which Home Remedy for Energy Is Right for You? "The great thing about most of these holistic practices is that there are often no drawbacks, and they're fun," admits Winters. "If you're stressed, carve out some time for some self-love and TLC." To find out which method resonates most with you and your lifestyle, give it a go. "Try something once," suggests Winters. "For example, if you like aromatherapy and find that it helps boost your productivity and mood at work, then see if you can integrate it into your routine. You'll never know if you never try. But if something resonates, it just might change your life—like how herbalism and essential oils changed mine." Here are five foods to avoid if you want more energy.